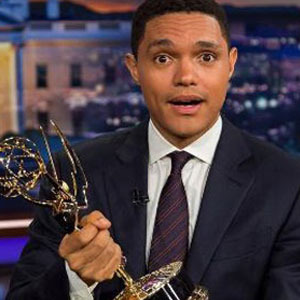 South African comedian Trevor Noah may have been ‘Born a Crime’ but he’s fast become a ‘Living Legend’. Noah took over from Jon Stewart as the host of Comedy Central’s flagship show ‘The Daily Show’ in September 2015, to what was described at the time as ‘A Crowd Gone Mild’. Fast forward two years and Comedy Central’s Kent Alterman said Noah’s ratings are up 28%, to 1.6 million viewers, the only late night show to grow last year. Hence it’s no surprise Alterman extended Noah’s contract to 2022 – “A risk worth taking”, he says. Just another South African doing great things on the international stage.